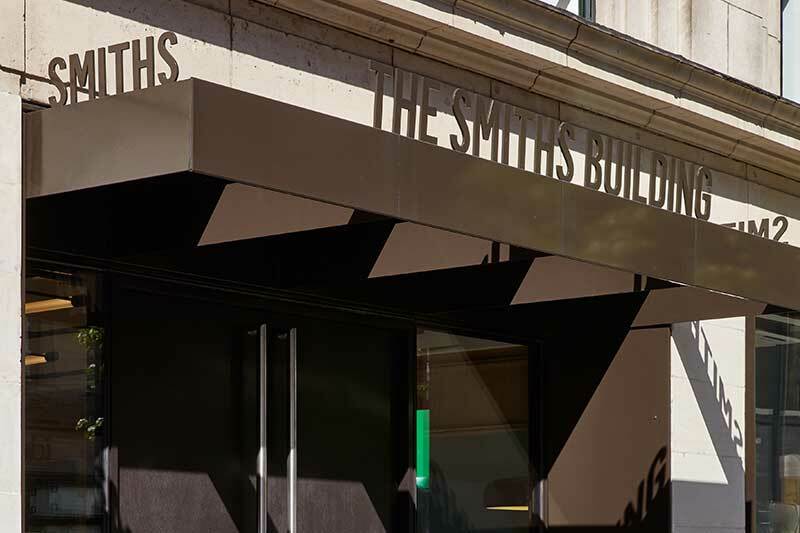 The beautiful shopfront of the Smiths Building, Great Portland Street, London is the result of a successful partnership between Architect, Builder, Client and Glasstec Systems. 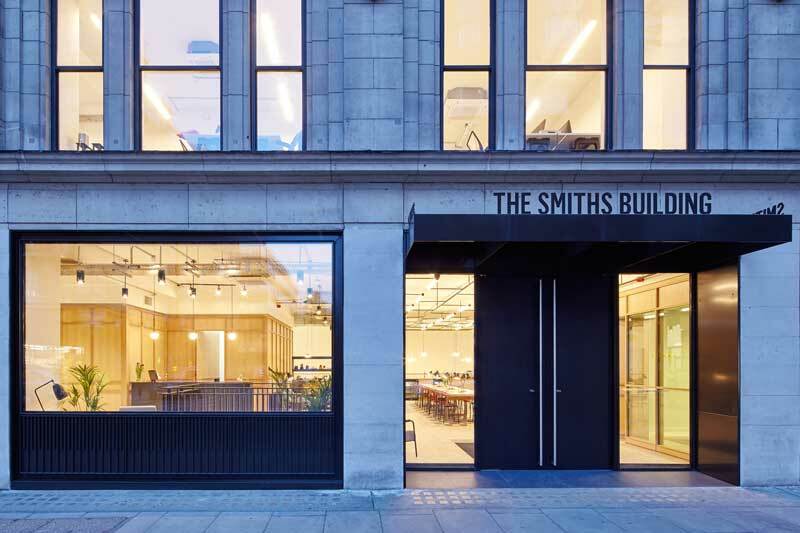 Structural glass specialists Glasstec Systems relished the opportunity to work in the collaborative Smiths Building team, providing welcome knowledge and guidance on structural glazing and metalwork to refine a successful design solution. Glasstec Systems were involved in the design process from an early stage, having worked from initial concept drawings to final design. 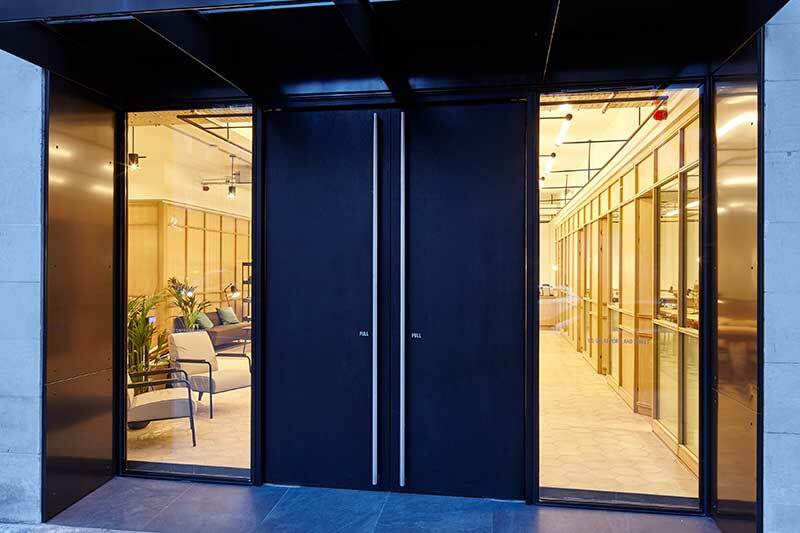 In addition to assisting with the design process Glasstec Systems were solely responsible for creation and installation of the complete glass shopfront and metalwork with corresponding door entrance and feature door canopy. Central to the overall success of the design was the metalwork and its intricacies. The feature metal panel work below the large glass windows was fabricated from component pieces, welded together to form distinctive large panels, before being powder coated. 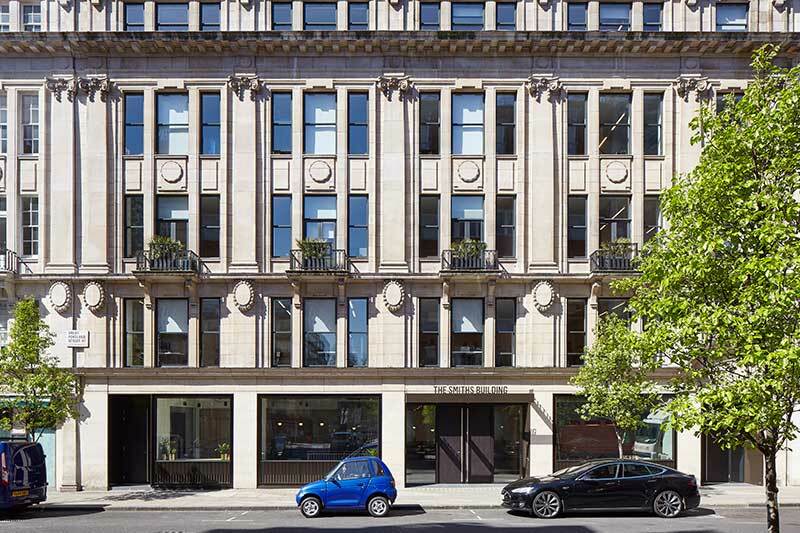 “The shopfront at The Smith Building was a difficult undertaking. We wanted to work with someone we knew and trusted and Glasstec were the obvious choice. Initial workshop meetings with Glasstec and the Architect enabled working drawings to be produced and manufacturing underway quickly.